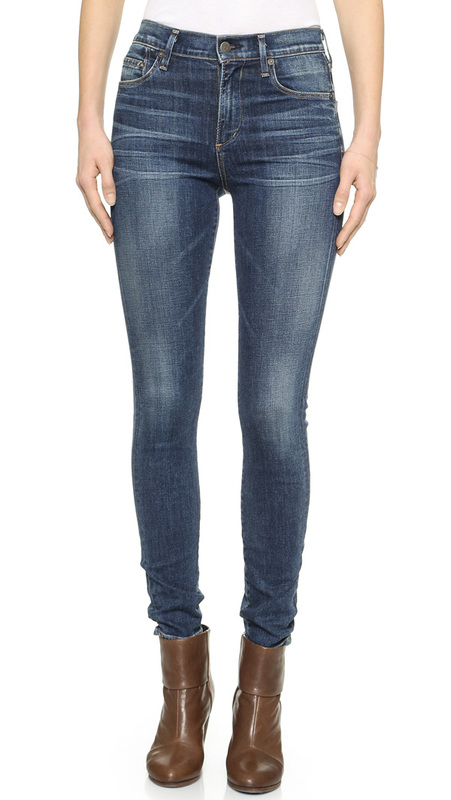 It’s no secret that I absolutely love the Citizens of Humanity Rocket skinny jeans cut. 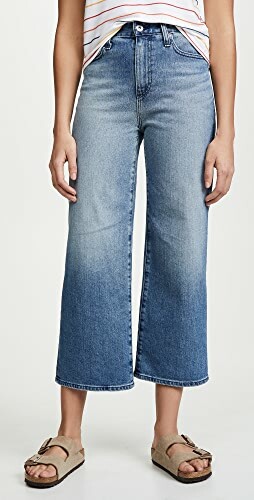 I listed the Aura wash in my top 10 favourite jeans of all time, so I’m sure a lot of you know how amazing I find the Rocket jeans. I own quite a few pairs of them myself in various washes and since the Rocket is such a versatile cut that can be worn with anything, I thought I would put together the 8 best washes to choose when you are buying your own pair. These include every wash you would need from dark to light, from cropped to full length and even a leatherette style too! There’s literally a Rocket for every occasion, but if you would like to read one of my reviews on the cut, check out these washes (Stage Coach and London Calling) but you can also see my detailed description under each jean. Above I featured the classic Crispy wash first as this was one of Citizens of Humanity’s very first washes in the Rocket cut. It’s a classic dark blue which features whiskering and fading and has been popular among the likes of Alessandra Ambrosio, Zoe Saldana, Selena Gomez, Ashley Madekwe (she lives in hers!) and many more celebrities! It’s one of those washes that looks amazing dressed up with heels and a smart jacket as much as it does dressed down with flats and an oversized sweater. I’d definitely consider this Crispy wash for a first time Rocket purchase! 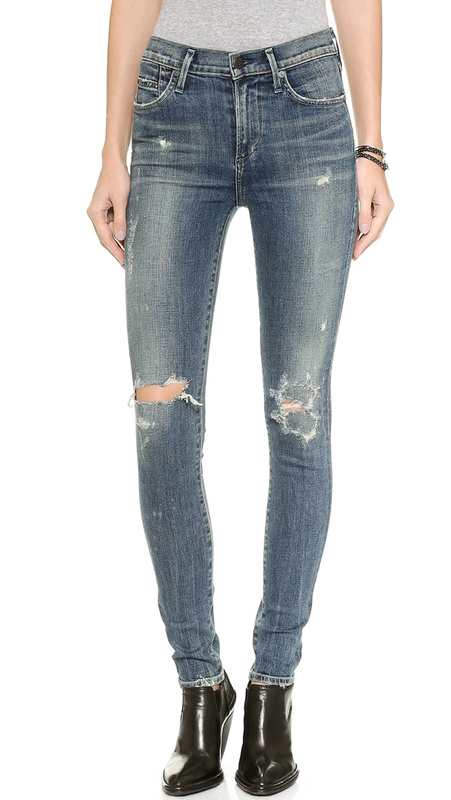 Shop the whole Citizens of Humanity Rocket collection at Shopbop. Next up is a Rocket that looks like leather! 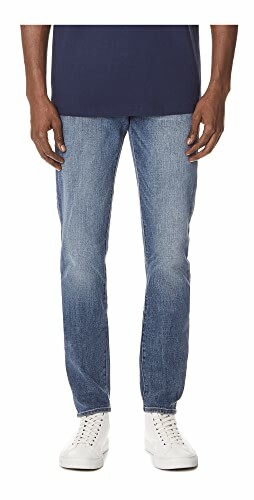 I chose these second as again, they have been a staple in the brands collection for over two years now. I own these myself and used to live in them as they are incredible. Not only do they look just like leather due to the thickness of the coating, but they are so stretchy and comfortable, you wont want to take them off. I’ve recommended this pair to almost everyone I know and so far they have all loved them. If you want the look of leather but are on a budget or you just want something coated and smart, these are definitely the choice for you. Especially around this time of year. As I mentioned above, these are the pair that are my number 1 favourite jeans of all time. I even own 2 pairs of these in the same size so I have a pair to wear when my others are ruined from too much use. That’s how much I love them. It’s even crossed my mind to purchase a third pair to store away for years to come. 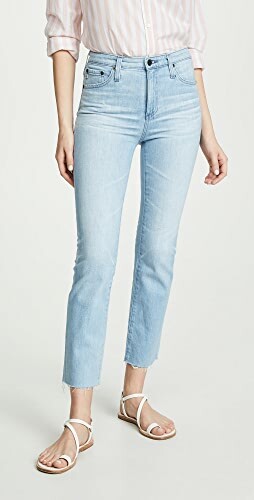 The wash on these is the perfect mid to light blue, the cropped length is amazing for the warmer weather or for wearing as an ankle jean like I do since I have petite legs and I can’t fault them in any way. 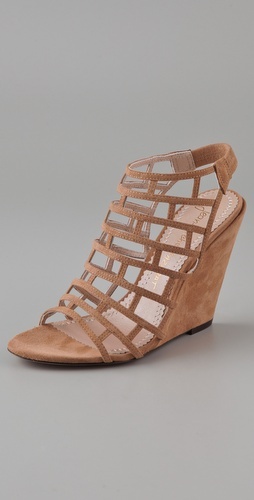 I wont go on and on again about how much I love these, but you definitely need them! The Indie wash is another, somewhat, original wash in the Rocket cut. Favoured by Victoria Beckham, Bella Thorne, Hilary Duff and more celebs, this is one you want to add to your collection if you love distressing. 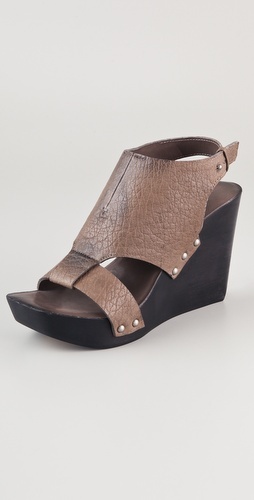 These feature that worn in, vintage feel to them with the faded wash and holes at the knees, but they look modern too. That’s the beauty about the Indie wash, you really can’t go wrong with it in terms of a casual jean that looks and fits good. Miranda Kerr loves the Icon wash and I can’t say I blame her. Whenever we need to reach for a dark, indigo blue but want one with a little more depth to it, then I think this is your jean. Indigo jeans can often look raw and flat when you wear them, which I can find unappealing at times, so Citizens vamped it up a bit with the Icon wash and added in subtle lap whiskers, some light fading down the thighs and some more crease lines around the thigh inseam. The Icon wash actually looks like a pair of raw jeans that you are breaking in quite nicely, but they are stretchy, comfortable and classic. If you need a dark blue, try these. A newer addition to the Citizens of Humanity Rocket collection is the Sculpt Crop in Spritz. I bought these a few months ago and absolutely love them. They have a very soft, stretchy, sculpting fabric which is designed to hug and contour your body while not stretching out. Since these come in the Rocket crop I was instantly drawn to them and I needed a darker wash, so these ended up being perfect. I’ve worn these numerous times and so far they are true to their word, they haven’t got baggy or stretched out and I love that. The wash is truly stunning in person too, I took a photo of it and uploaded it to my Instagram (see it here) but hopefully I can get around to doing a full review soon. 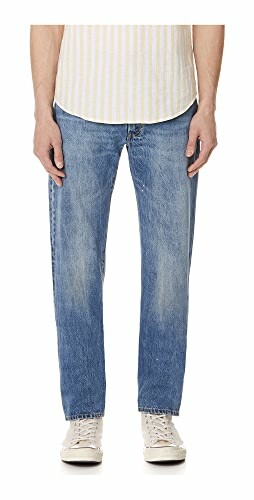 If you have petite legs, need a stretchy jean that wont go baggy and love this wash, you should buy these in a flash. I’ve lived in my Rocket in Axel Black for over 18 months now, but I think the Axel has finally sold out in most places and been replaced with the new All Black wash. It looks like a gorgeous jet black which is clean and pure, coupled with the high rise skinny fit, what more could you ask for when you want a black jean for a smarter occasion? Everyone loves black jeans around this time of year as when you wear them with black boots they make your legs look miles long, but they pair nicely with leather jackets and long coats too. 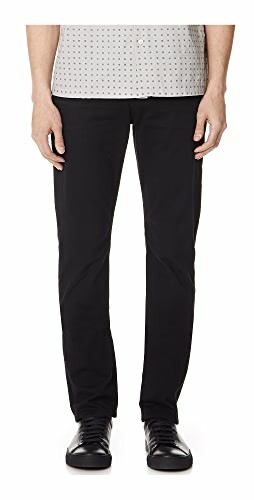 Black skinny jeans are a must have for any persons collection, whether you collect jeans or not, everyone needs a black skinny for certain occasions. And finally we have the Taos wash. This one has been around for about 5-6 months and it seems to be becoming a staple. It’s a beautiful mid blue that has whiskering, fading and very slight distressed areas, making it look like a very worn in pair of raw jeans or a vintage pair of Levi’s that aren’t quite bleached. I love this wash myself and really want to add it to my collection, but at the moment I have my eye on some others. I can definitely see this wash being a great casual blue though, worn with a vintage band tee and some flats, how cute would it look? – So this is my round up of 8 Citizens of Humanity Rocket Skinny Jeans that everyone should add to their denim collection. You at least need one pair if you haven’t tried them yet and one of these would be the perfect option. 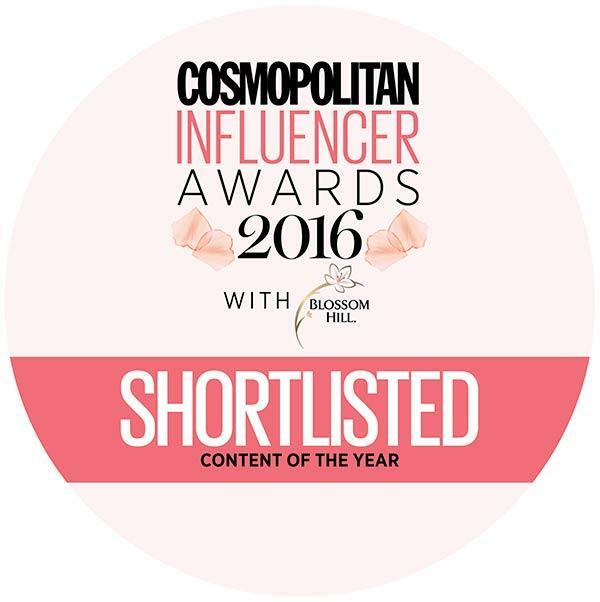 I can’t recommend them enough! This post is not sponsored or endorsed by Citizens of Humanity in anyway, these are all my personal opinions as I vouch for the Rocket, truly. How many of you love it too? Happy shopping! Rocket skinnies are amazing! I wear my axel pair to work constantly! I saw some velvety and courderouy pairs by Citizens recently- have you seen them? Anything I should know about them? Yeah I have seen them online, not in person, but they look really cool. I’ve not tried them though so I can’t comment on the sizing, but I bet they are gorgeous! Is the Rocket always high rise? 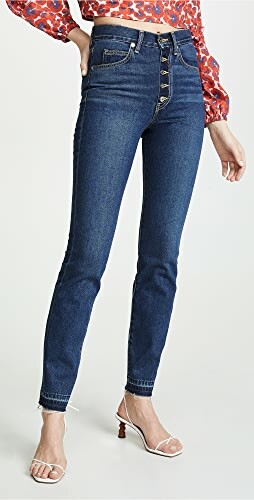 I tried this jean once, but as I’m only 5’1″, the rise was uncomfortable when I sat. Otherwise I really loved this jean! Hi Kelsie, yes, the Rocket is always high rise, it’s a high rise skinny. Each cut name means it’s the same in every single wash. You might be better with their Racer skinny from Citizens, it’s got a lower rise and is skinny, it might be more comfortable on your petite frame! 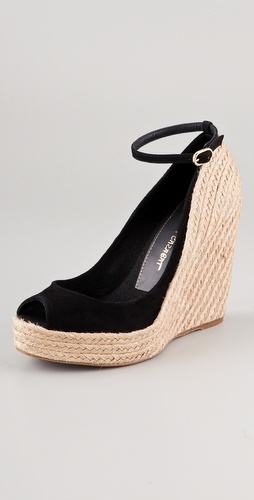 Shop Heeled Sandals, Ripped Skinny Jeans, Trendy Tops, Black And Gold Jewelry and more. Get this widget.